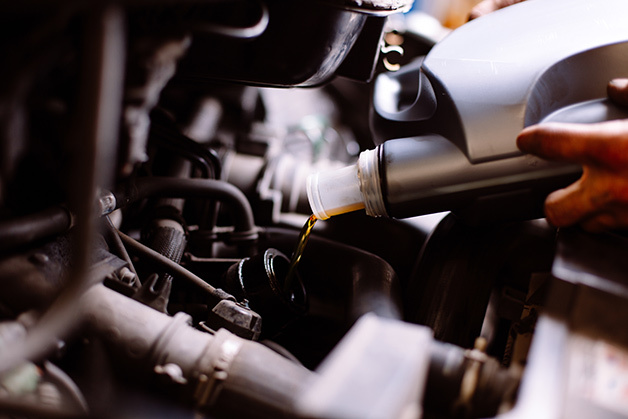 Deerfield Auto Repair and Kwik Kar in Katy / West Houston performs quick oil changes and maintenance services for gasoline and diesel engines on both foreign and domestic vehicles. We keep your busy schedule in mind because we know that your time is valuable. Most oil changes and maintenance services can be performed while you wait in our comfortable lobby with cable television for your enjoyment. We feature quality Pennzoil Conventional, Synthetic Blend and Full Synthetic oil products. We also feature Pennzoil Air and Oil Filter products. We also stock Mobil1 Full Synthetic, Castrol GTX, Shell RotellaT, and Chevron Delo for diesel vehicles. Whether you prefer Conventional Motor Oil, Synthetic Blend, Full Synthetic or an oil specifically designed for Higher Mileage vehicles, we will deliver fast, quality oil change service at an excellent price. And remember, we accept most competitors’ coupons. *up to 5 quarts oil with oil filter, most cars, plus tax and disposal fees. 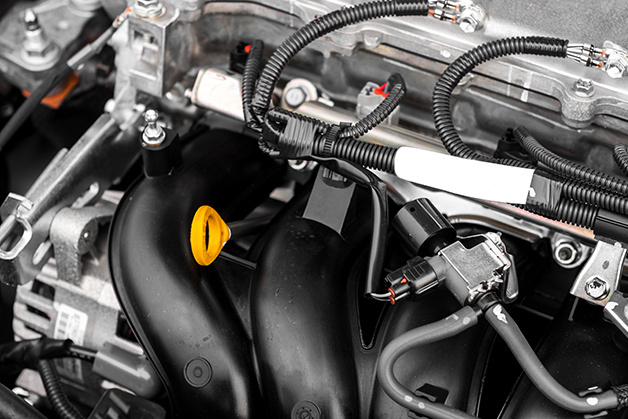 We change fuel filters, clean fuel injectors, and replace cabin a/c filters and light bulbs. We also perform radiator, transmission and power steering flushes, and rotate and balance tires as well. If you have a rear wheel drive vehicle, we can service the rear differential. And if you have a 4 X 4, we can perform the routine maintenance on the front differential and transfer case. Is your tire pressure monitoring system (TPMS) alert light on? We offer a free tire pressure check. Need to see the road more clearly? We feature RainX wiper blades to help you during inclement weather and we will install new headlight bulbs and lenses for your safety. We proudly feature Interstate Batteries, the brand that is the #1 automotive replacement battery brand in North America. Interstate sells about 15 million batteries a year and you can get warranty service at more than 200,000 retail outlets nationwide. Come by for a free Preventative Maintenance Inspection (PMI) and get your ‘Trip Check’ to give you peace-of-mind while on the road. What about my fleet card? We accept PHH Fleet, Voyager, GE Fleet and other National Fleet Accounts. We also provide billing for local Commercial Accounts. Whether you need a Tune-Up, a Brake Check, or new Belts and Hoses, call or stop by and talk to our friendly, knowledgeable staff.